Just got this watch! 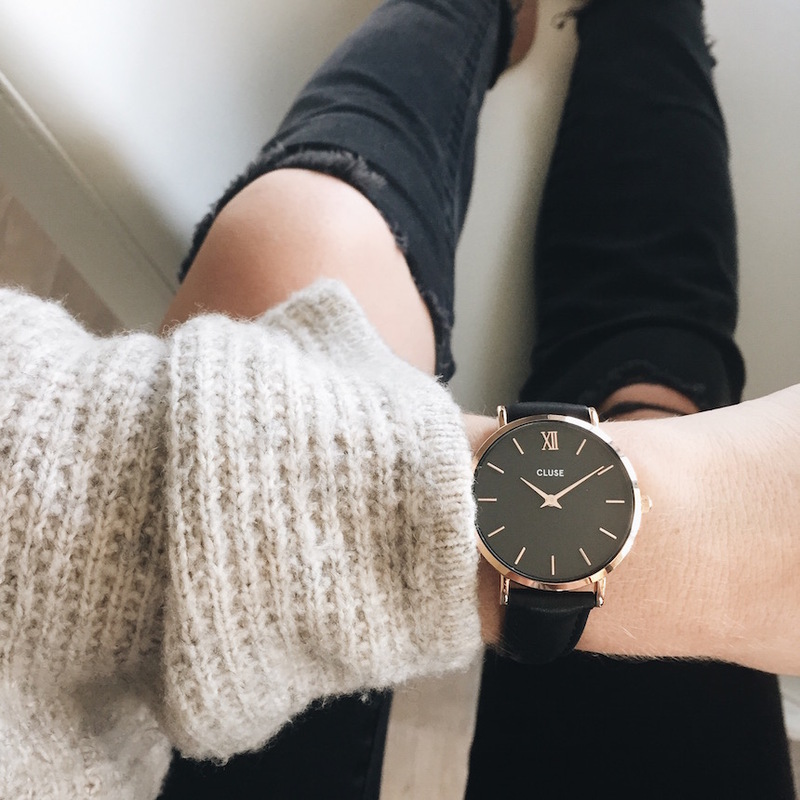 Love the rose gold + black combo! This tiered dress is SO pretty – the color is perfection. Can’t believe it’s only $25! If your work wardrobe is starting to feel blah you need this blazer! I have this green maxi skirt and love it! On sale for $27! Umm this lace up sweater is giving me the feels! One of our favorite trends right now is the slip dress. Obsessed with this one and this one! Love this off the shoulder top – it’s almost identical to the one I have and posted here (scroll down a little)! How cute is this sweater? Perfect to transition into fall! This blanket is the softest ever! Camden has it and I always end up snuggling up with it. It’s on sale and makes a great baby gift! Obsessed with this denim jacket (ordering it in the dark wash) and it’s only $30! These booties are so unique and under $100. Would look so cute with cutoffs and a chunky sweater! How gorgeous is this bomber? In LOVE.